What makes a book your kids’ favorite? In short it’s the book’s ability to be read over and over and still create wonder and excitement. 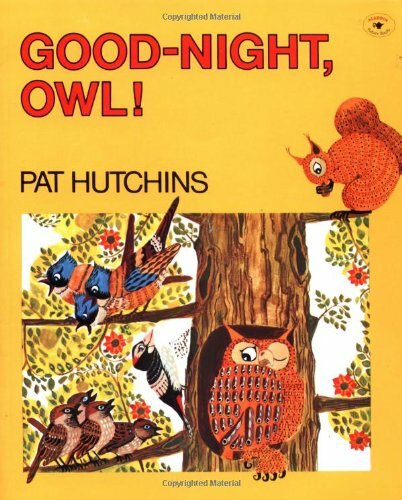 Good-Night Owl, by Pat Hutchins, is that book for my three year old. This delightful story is full of bright, jovial illustrations backed up by witty yet melodic text. Kids learn a bit of ecology and animal science through the point of view of Owl, who just wants to go to sleep! I have honestly read this book about one hundred times, and I’m not even tired of it yet! Good-Night Owl is best suited for toddlers to six years old, but can be used as a learn-to-read book for beginning readers. This book is available through most book stores and your local library. If you are interested in exploring this book further check it out here on Amazon.